This one is ideal for those stags that are just HUGE!. We arrange a BBQ with your own chef in the outdoor garden of the Belfry Bar (Heated and Covered - Available All-Year). 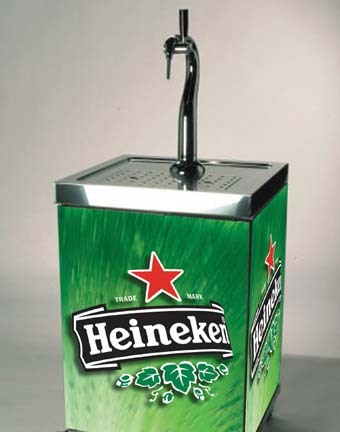 It includes a BBQ for each of the guys (Burger, Jumbo Sausage/Chicken Skewers, Salad) and your own Heineken Tap with one Keg of Beer (35 Pints) to start you off. Additional Kegs can be purchased at €160 per keg. Interested in this package? You might also consider Clay Pigeon Shooting, Funballs or a Pool and Darts Tournament.